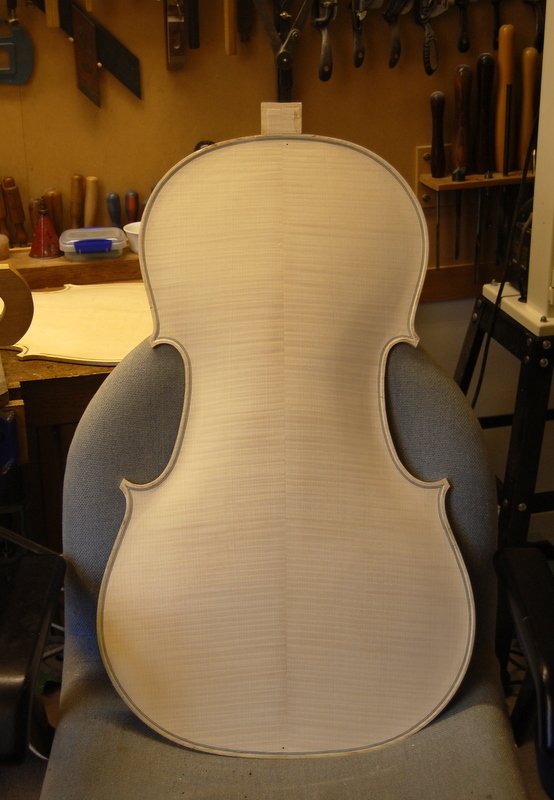 As you can see, I’m working on a cello at the moment. But I’ve written about cello making before and, rather than repeat myself, I thought that I’d show a few wooden constructions that have amused me recently. 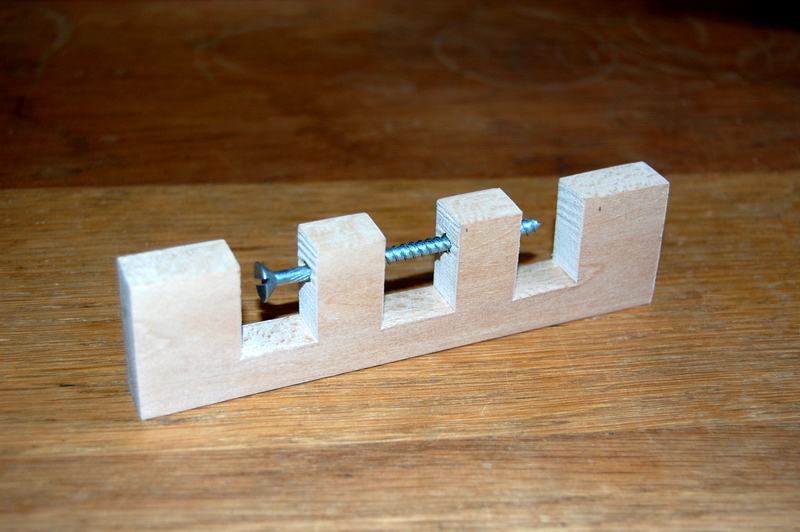 First, an old favourite – but one that people who don’t know the secret find seriously puzzling – the captive screw. There a trick to its manufacture, of course, and, if you can’t work out how it’s done, this YouTube video explains. 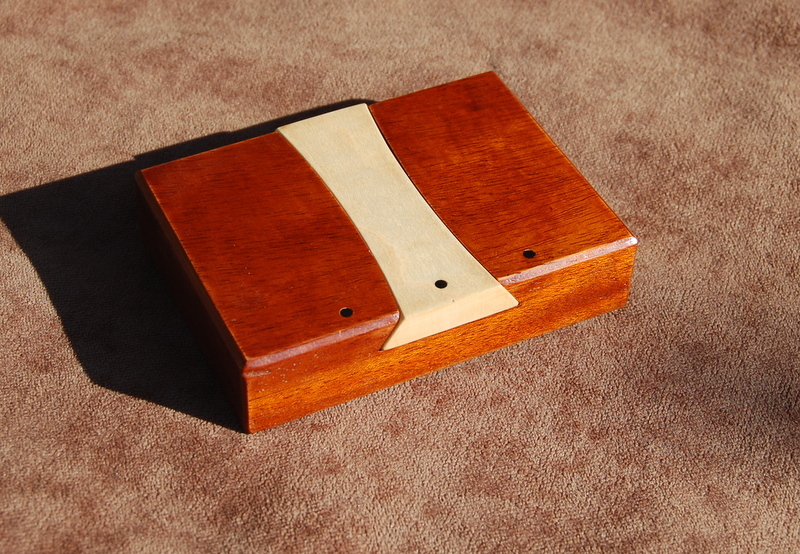 Rather more sophisticated is this apparently impossible double dovetail. There’s no trick here and the joint comes apart with ease. It’s just that the geometry of the joinery isn’t what one assumes it to be at first sight. The joint is occasionally useful. Roy Underhill describes an application in his book, The Woodwright’s Guide (ISBN978-0-8078-5914-8), where it’s employed to join the front legs to the top of a work bench. 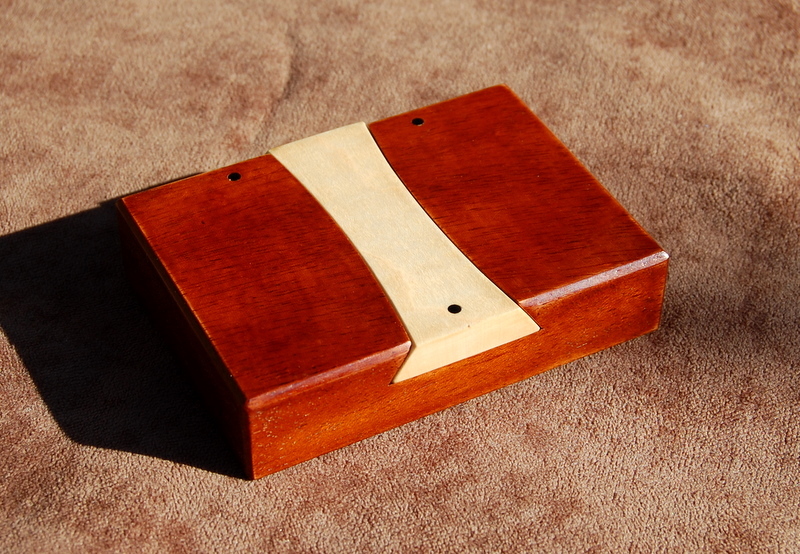 The triple dovetail below is an ingenious puzzle that I found in Edwin Wyatt’s book, Wonders in Wood (ISBN 0-941936-40-6). Wyatt says that it was invented by someone called A B Cutler and published in a magazine, Industrial Arts and Vocational Education in 1930. It has no practical application as far as I know. 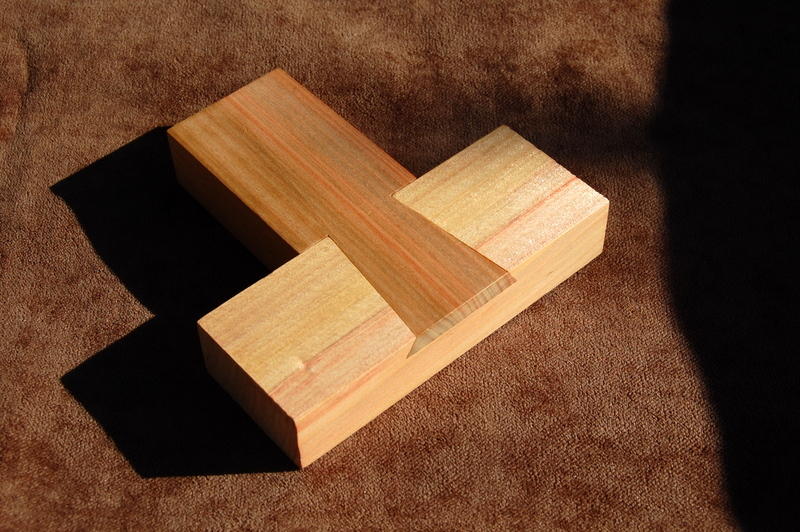 The geometry of the joint is a variation on that of the double dovetail but it’s rather harder to make. Again, despite all appearances, the two pieces come apart easily – as you can see if you compare the positions of the ebony dots in the two photographs. In a future post, I’ll show some photographs of the joints pulled apart. This is great! Keep it up.